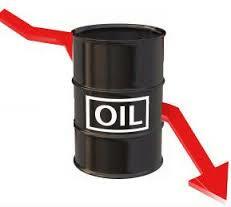 POST FALL IN OIL PRICES IN GULF STATES -Emerging opportunities for Indian Exports. Arabian Gulf States -Saudi Arabia,Qatar,Kuwait,Bahrain,Oman and UAE- have enjoyed windfall wealth due to high oil prices during the three decades prior to unexpected but drastic fall in oil prices commencing mid 2014.They could successfully spend handsome monies on infrastructure projects,education and health...Salaries in Govt services and public sectors went up many folds during this period. Lavishly they spent on social welfare and subsidies for the people.During this spell the rate of progress all the Gulf States could achieve on development activities can be put in one word- astounding!In hindsight when I look back on my career in Qatar, it could be a strange but lucky coincidence that I was there all these three decades.Not just as a witness but as a humble participant in building the nation!! Mostly these countries looked west and Japan for sharing the technology and branded products which they could afford all these years.Right from engineering projects and products to those of FMCG ,the GCC nationals loved produces of US, Europe and Japan.In turn it was a windfall of revenue for the west as well all these years.The sudden fall in revenue may make these gulf states look for alternate less expensive sources but to keep the same standards which are already set. Arabian Gulf States along with other oil producing countries in the world where oil is the main or only source of income are facing an unprecedented economic situation as of now which nobody ever imagined. The plunge of international oil price to 60%- 70% lesser than what it was two years back, no doubt has dented the coffers of these countries. Experts predict that the current price may remain more or less the same in the near future but could make an upward swing later but may not regain the levels of what it was two years back. Situation related to gas also is the same. Many including some of the expatriates living in those countries think that level of life and work there may not be the same anymore... But I differ. 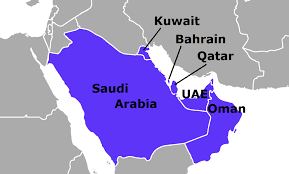 Gulf states- I am focusing only on these countries here now- are recovering from the unexpected initial shock. More than making provisions of budget cuts, retrenchment of expatriate employees in the Govt. sector, postponement or cancellation of non essential projects and services, they are professional and organized enough to ensure flow of alternate sources of income in the years to come to ward off the perils which may arise. I am of the opinion that these countries may not remain same as they were but continue as welfare states in the immediate future with major change in business opportunities while employment potential of expatriates may shift to new challenges in the future. Obviously they have to curb on spending while increase alternate sources of revenue. Subsidies could be reduced. Fuel prices could be hiked. Many years it was cheaper to buy I liter petrol than I liter of mineral water. Taxes can be expected including VAT. Govt. bonds may be issued. Non oil based industries may expand. We should not forget that all these economies are having excellent reserves in the form of gold, property etc which will help in the long run. Definitely they will also look out for imports- in kind and manpower with lesser affordable prices with acceptable standards in quality. I do not have any doubt that these countries are capable of getting right advises from the experts and implementing them. This is the situation where Indian products are going to be there even more than what it is so far if India plays the cards well understanding the emerging situation. China or for this matter any other country cannot match the potential of India. First area where India can play a vital role is in the oil and gas sector itself. As of now this sector mostly uses the western technology along with plants and equipment. Professional manpower is mostly from west and other Arab countries in very senior positions among expatriates. I consider since oil and gas sector is the most hit area due to fall in prices, authorities will look for alternatives to keep related activities at the same quality with reduced expenses. Definitely India will fit in this slot with its expertise and equipment in all sections from exploration, drilling, refining, storing to distribution. With companies such as ONGC, IOC, BP, HP and other related organizations in the quasi Govt. and many in private sector, India is very much capable to meet up the new challenges there but we have to market our own strengths which is totally lacking now. Secondly what I have in mind is Health sector. As of now there is excellent infrastructure for hospitals in the GCC(Gulf Cooperation Council) mostly in the Govt. sector. Specialist doctors are expatriates from other Arab countries such as Lebanon, Egypt, Palestine (holding Jordan’s passport) etc. who head the sections along with doctors from UK and US. Indian and Pakistani doctors are also there. But in spite of all these hospitals in the Govt. and private sectors,in a lot of cases the locals go abroad to US, UK, Germany and other western countries for surgery or consultations. Some have started going to Korea and China. But unfortunately only very few come to India. I think this is a vital area India has to focus. Indian doctors are professionally respected anywhere in the world including Gulf but may be due to lack of proper marketing techniques, most of the Arabs are not aware of the existence our modern hospitals with advanced equipment in India. I am not talking about the medical tourism since I don’t think anyone – patient or bystander- will think of tourism while ailing from serious medical problems. But there should be easy and fast systems where such people can come to India and go back getting well. One should understand that they are spending 5 times or more going to west now but they do that because of the existing easy, streamlined medical and admin systems accessible to the patient or the Govt. agencies which sponsor them. So also medicines. Hardly one will find Indian manufactured medicines available in Gulf countries at least in Qatar. Even common aspirins or cough syrups come from west or some Arab countries! There is a large untapped opportunity for India in the export of medical equipment as well. Another area where Indian products have not reached is the automobile and heavy construction equipment segments. Hardly one can find an Indian manufactured car or a truck on the streets! One can find a lot of Tata or Ashok Leyland buses plying on Doha roads but they are exclusively used only for the transport of the expatriate labor from the camp to project sites. Indian buses cost only less than one third of German Mercedes but quality also is comparatively low. I think we have a lot of potential in this field provided we are ready to improve our quality. There are quite a number of Indian construction companies operating in Gulf now. Many of them are running on reds because it is already a very competitive market with tough contract conditions where only the fittest will survive among the companies which are mostly run by multi nationalities. The contract conditions prevailing there is different to what is being practiced in India or elsewhere. There it is ‘lump sum’ system of contracts where as in India it is ‘rate contract’. Both are entirely different. I would suggest the Indian aspirants in this field to study the market, possible work there first in smaller projects before getting fully involved in business. There could be good future for those who have mastered the scenario. At the same there could be new opportunities to flood with Indian manufactured architectural building products in that market. Related Indian service industries in MEP,A/C, Pre engineered buildings and building hardware also can find entries in the gulf market in the new scenario. Other areas where India can pin point is IT, Computer hardware and peripherals, stationary products, textile,pumps and motors,transformers….the list can be longer. FMCG Products of Indian origin can also find the market there among the nationals which is now restricted to Indian expatriates mainly. Last but not the least- two Indian areas where the Arabs are generally interested are Bollywood movies and Indian cuisine. Both most of them love to their hearts contents. If we can couple these with our own ‘Incredible India’, our tourism industry will go sky rocketing……To sum up in one sentence, we can export any product or technology from India to replace current imports in Gulf states from US and Europe provided India can match their quality, timely delivery and if the prices are 20 % or less cheaper.India has the capability and as such an opportunity for Indian exports for sure. Success in business, as we all know ,mainly depends on the ability to identify opportunities and grab them. Best example of this is to quote another Indian business man. While US and the world was stunned soon after September 11 strike in New York, this Indian could buy at throw away prices scrap steel from the debris of World Trade Centre which the US authorities was only happy to get rid of. This Indian businessman imported the same to India, I think to Chennai and made stainless steel spoons and utensils out of this debris. Who knows- you and I also might have used the same in our households perhaps!